Many travelers underestimate the variety of things to do in Osaka, which makes sense if you plan trips to Japan for a living like I do. Most travelers disregard Japan’s second-largest city entirely, particularly on their first visit to Japan! 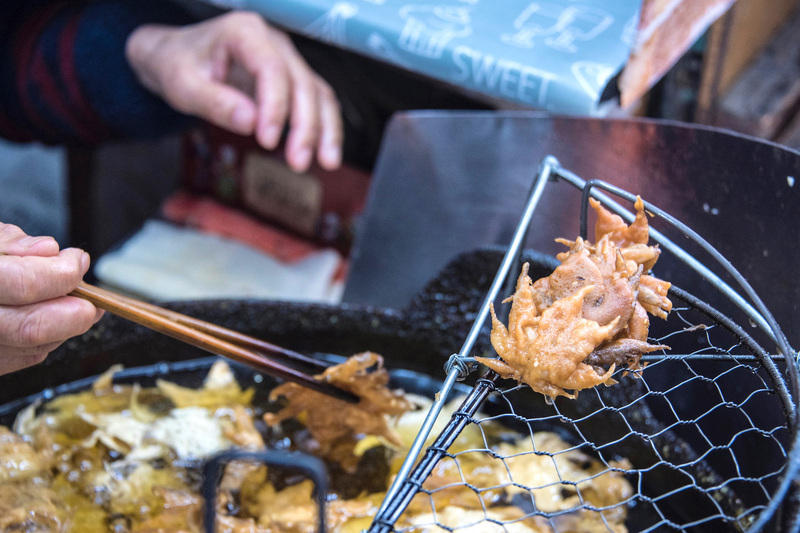 Even those who do make the plunge stay only a night or two, making a visit to Osaka Castle, eating some street food and calling it a day. This is a shame. From Osaka attractions like the aforementioned castle (as well as some of Japan’s oldest sacred sites), to cultural experiences that dramatically transcend a tray of bonito-covered takoyaki, Osaka is in many ways the most underrated big city in Japan—you shouldn’t miss it on your next trip. Need help planning your Osaka itinerary? Commission a custom Japan itinerary! As is the case for most other Japan destinations, spring is the most beautiful time to visit Osaka. 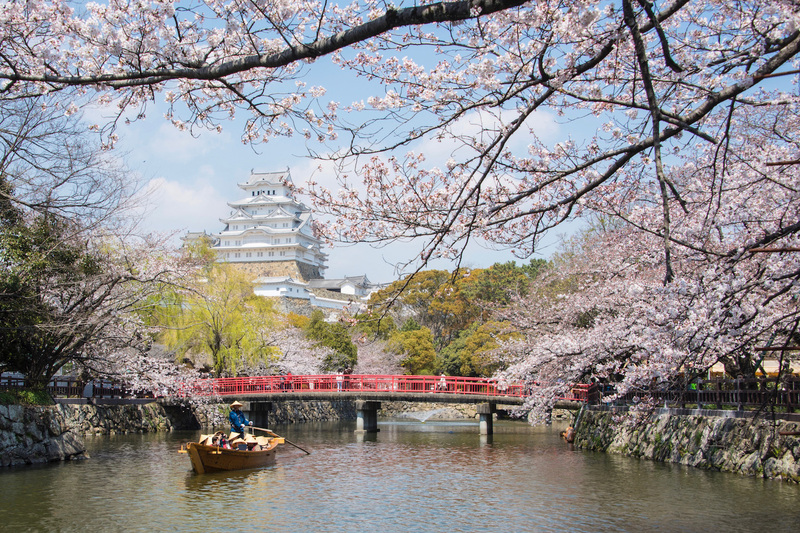 Whether you traipse amid Osaka cherry blossoms at the castle or enjoy pleasant temperatures during day trips to outlying destinations, springtime in Osaka is hard to beat when it comes to the overall enjoyment of your trip. With this being said, Osaka is arguably as much of a 365-day destination as the rest of Japan. Although things to do in Osaka in winter can be limited, since snow doesn’t fall much within the city limits, autumn colors suit Osaka well, and there are plenty of indoor activities you can do to escape the tsuyu monsoon that occurs during summer. The top hotels in Osaka are scattered through the city, which is good and bad news. The good news is that if you’re simply looking for an amazing place to stay (such as the opulent St. Regis Osaka or the five-star Ritz-Carlton Osaka), you can find accommodations such as these near Shin-Osaka, Namba and everywhere in-between. On the other hand, if you’re like me and choose a place to stay based on what to do in Osaka (and which particular activities interest you), you’ll want to search based on location. In general, I like to stay in the Umeda (Osaka Station) area for convenience’s sake, which usually sees me select boutique business hotels like Welina Hotel Umeda and Hotel the Flag, which is actually one subway stop south of Osaka Station in Shinsaibashi. Most travelers know about 17th-century Osaka Castle, even those who aren’t actively planning a trip to Osaka. However, this is only the beginning of ancient adventures in modern Osaka—both Shi-tennoji temple and Sumiyoshi Taisha shrine date back nearly 2,000 years, even if their current iterations are more recent. 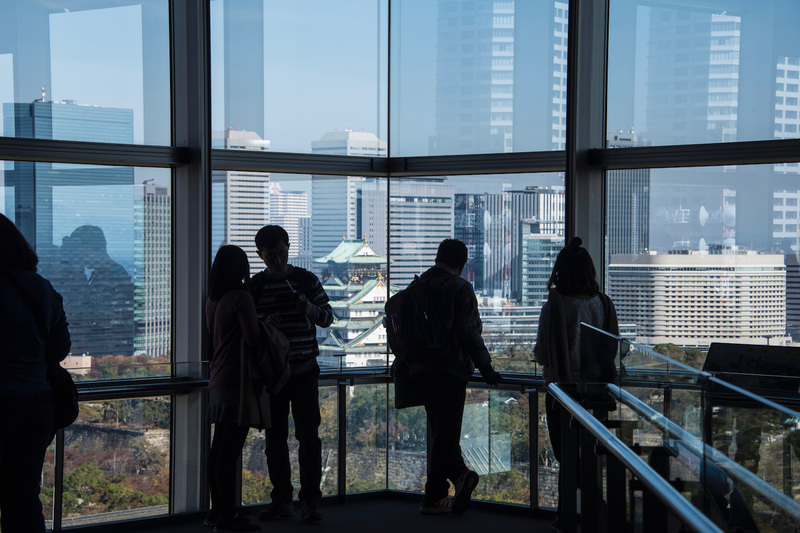 Additionally, a visit to the Osaka Museum of History (which also offers a bird’s eye view of the castle complex) elucidates the city’s surprisingly rich and storied past. Speaking of temples in Osaka, they may be small in number, but they tend to have very interesting backstories. In addition to Shitenno-ji and Sumiyoshi Taisha, many other options exist within the spiritual neighborhood of Shitaderamachi, just north of Tennoji Station. Hozen-ji is notable because of the serenity it offers only a stone’s throw from manic Dotonbori pedestrian street, while Ohatsu Tenjin is a monument to a tragic 17th-century love story you might consider Japan’s answer to “Romeo & Juliet.” Sleep at the “temple stay” of Waqoo Shitaderamachi to round out the experience. 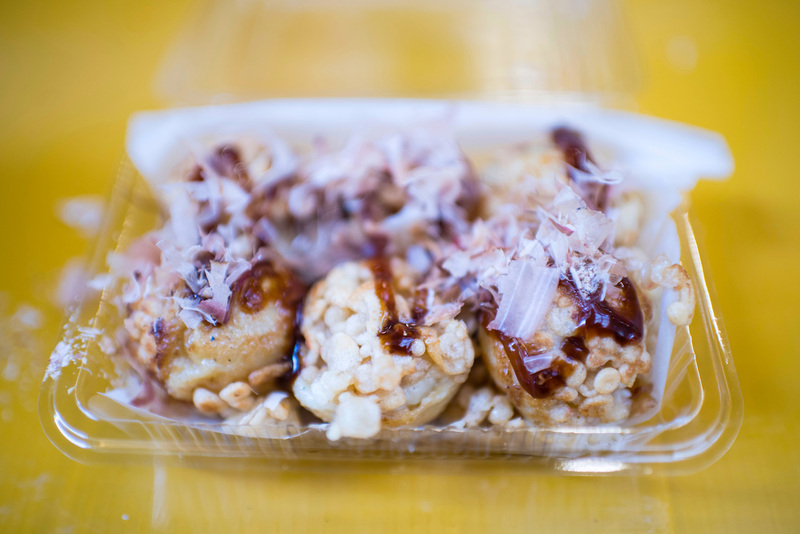 Speaking of Dotonbori, it’s the best place to sample the aforementioned street food, whether you choose takoyaki octopus fritters, kani doraku grilled crab or fried gyoza dumplings. Shinsekai, meanwhile, is better for Osaka nightlife (though you can enjoy a meal in one of its Izakaya pubs), while both offer a variety of colorful and bizarre scenery to liven up your Instagram feed. A trip to Universal Studios Osaka is certainly among the things to do in Osaka with family, though there are other activities might prefer, particularly if you have kids too young for the thrill rides of the theme park. 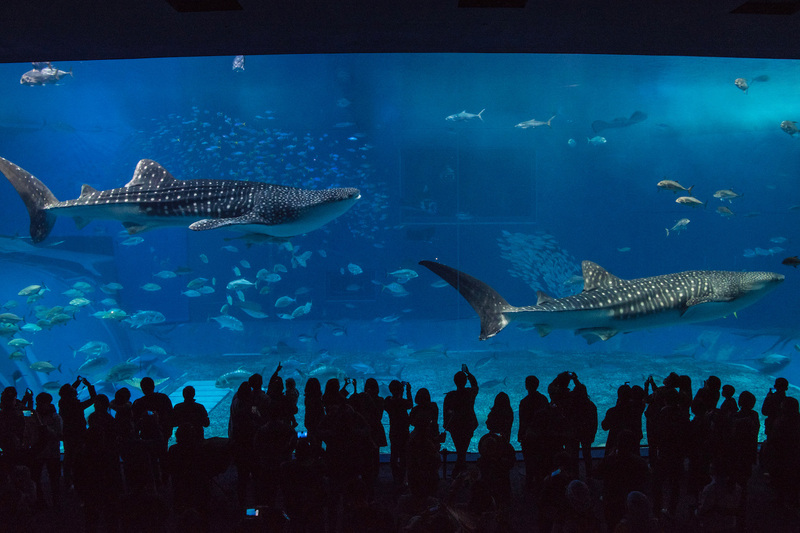 Small children, to be sure, love seeing the undersea creatures on display at award-winning Kaiyukan and the dramatic view from the nearby Tempozan Giant Ferris Wheel, which is quite high but also moves rather slowly. 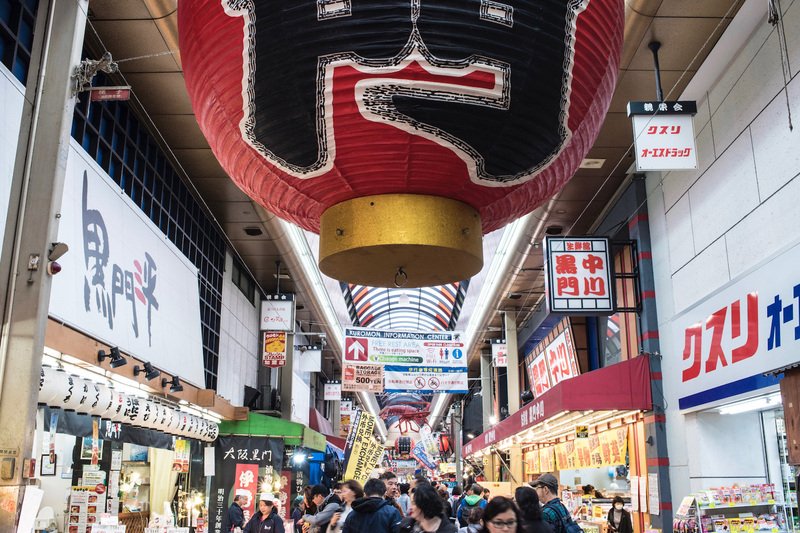 Although Osaka shopping is varied and widespread, a popular place to go is Kuromon Market, a sprawling arcade of restaurants, shops, stands and boutiques located not far from Namba Station. This makes it convenient not only to the aforementioned Dotonbori pedestrian street, but to the Osaka Prefectural Gymnasium, where the sumo tournament that happens every March takes place. Many of Osaka’s other popular shopping destinations are located inside or connected to busy stations like Namba, Osaka, Shin-Osaka and Shinsaibashi. 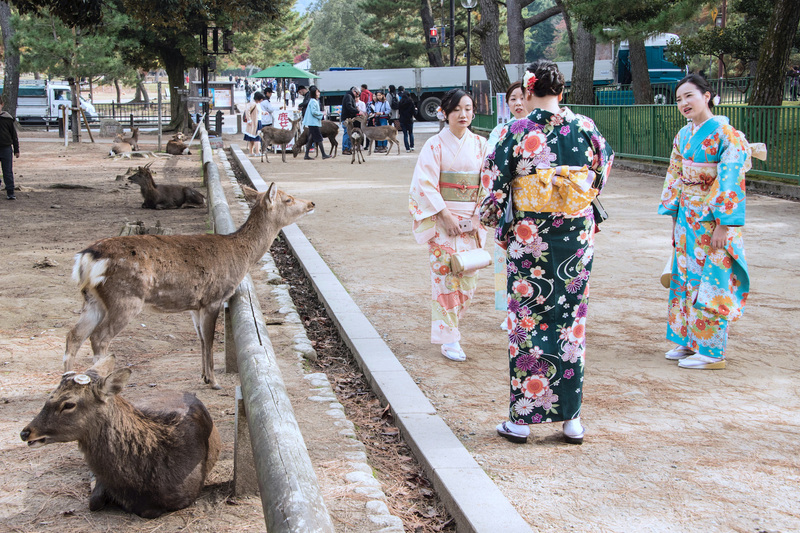 Taking a trip to Nara from Osaka is probably the most popular Osaka day trip option, whether you go for the friendly deer that roam the city center, or to explore the ancient wooden architecture. Both hearken back to a time about 1,200 years ago, when Nara (before Kyoto, notably) was the capital of Japan. If you want to stay overnight in Nara, I’d recommend checking out my more extensive Nara itinerary, which includes some hotel recommendations. Among the top things to do in Osaka in autumn is a day trip to Minoh, home of the internet-famous tempura-fried maple leaves. However, this isn’t the only reason to travel to Minoh (sometimes written Mino-o), which is located about an hour north of the city center via the Hankyu private railway. 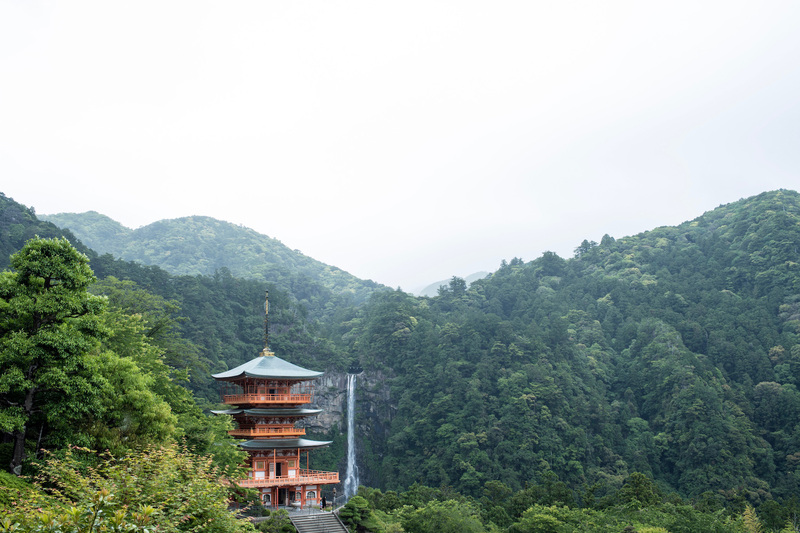 Dramatic Minoh Falls is an exhilarating (and potentially dramatic) 45-minute hike from the station, and is beautiful all year (though moreso during fall, which is convenient if you think you’ll be in the Kansai region then). Traveling from Osaka to Himeji takes only an hour or so using the Shinkansen (from Shin-Osaka station), but it’s quite a departure. This might sound surprising, since Osaka’s castle and Himeji’s might not look very different from afar. But in addition to the delicate white coloring of celebrated Himeji Castle, the experiencing of exploring the fortress (which is just 15 minutes by foot from Himeji Station) is a serene one, especially amid the flowers of sakura season, which are one of my favorite Osaka things to do. 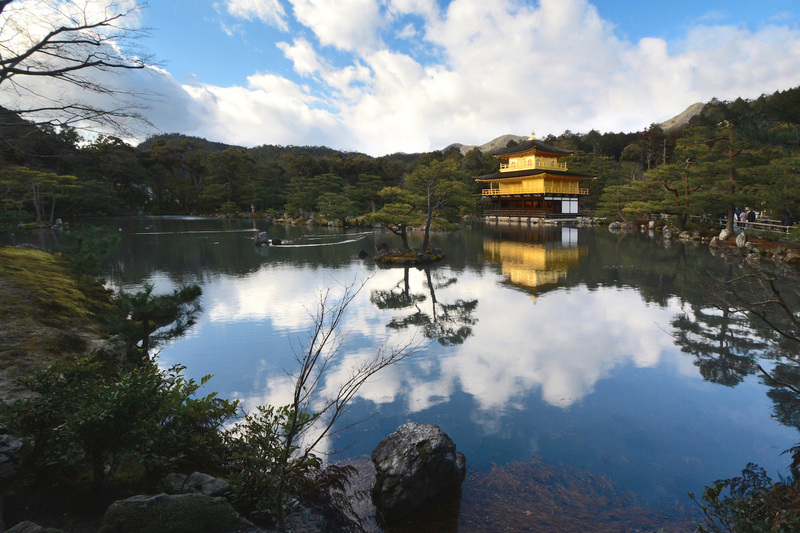 Although some of the things to do in Osaka are of the spiritual sort, nothing within the city compares to what you find further south in Wakayama prefecture: Holy Mt. Koya and the Kumano Kodo pilgrimage. While the former is easier to do on a day trip (using a combination of train and funicular railway takes less than two hours in each direction from Namba Station, provided you don’t want to do a temple stay), you can visit the Kumano Nachi Taisha shrine (aka the “Waterfall Temple”) in a day if you don’t mind renting a car. Although I usually try not to list Kyoto (which is one of the most amazing cities in the entire world) among Osaka day trips, it can fit in this category in certain instances—namely, if you’re in Osaka on a time-sensitive business trip, but still want to experience Kyoto. If you visit Kyoto on a day trip from Osaka, plan on leaving early and coming back late, so that you have time to explore the temples of Higashiyama, the bamboo groves of Arashiyama and the spellbinding Fushimi Inari Shrine (at a minimum). For a long time, I had an article that detailed how to spend 3 days in Osaka, and while it was popular I found it wasn’t versatile enough. As I explained during the Osaka itinerary planner I’ve published in its place, how long you spend in Osaka depends upon how committed you are to exploring all the city has to offer. If you simply want to see the Castle and eat some kani doraku grilled crab, one full day or 2 days in Osaka might be sufficient for you. However, if you want to explore the nooks and crannies of the city center and take a day trip (or three), four or more days in Osaka (and a week or longer in the Kansai region) might be more appropriate, especially if you want to really get a feel for how Tokyo vs Osaka compare. As you can see, the sheer number of things to do in Osaka is staggering, even if you regard the diverse range of satisfying attractions the city offers. 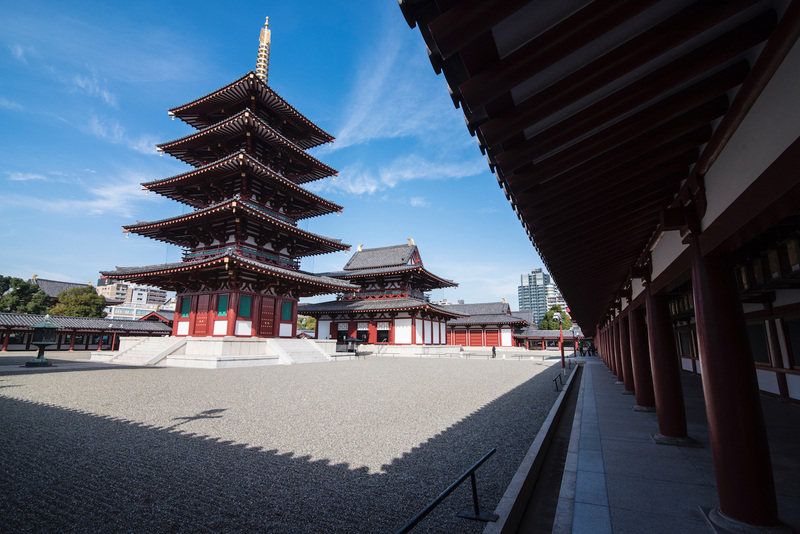 Far more than simply Osaka Castle and the Dotonbori pedestrian street, even a simple Osaka itinerary offers profound rewards for adventurous and curious travelers. This is without even taking into account all the amazing day trips you can take from Osaka, whether by heading west to the castle town of Himeji, or south into spiritual Wakayama prefecture. No matter which Osaka things to do appeal to you most, your trip to Osaka starts here!